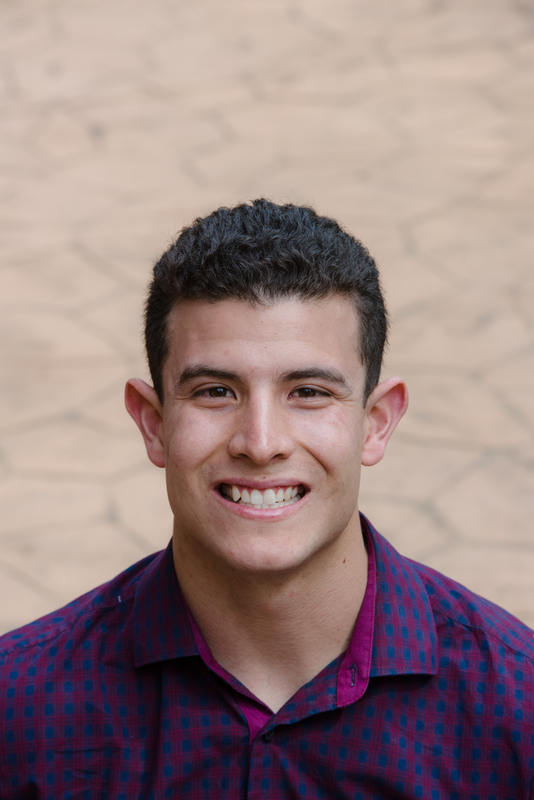 In this blog post, Knowles Teaching Fellow Cris Chacon reflects on the factors that led him to leave his dream job. From September 2017 to June 2018, one or more members of the Knowles Teacher Initiative community will write a blog post each month exploring the role of small victories, mistakes and failures in their growth and learning. In this post, Teaching Fellow Cris Chacon reflects on the factors that led him to leave his dream job. I was living in a state of despair. Never before had I found myself remaining in a constant state of complaining, and suddenly I found myself doing just that. I had always been someone who believed that my work ethic and attitude could get me through anything, yet neither was helping me out of my funk. I started my first full-time high school teaching job in January of 2017 at my alma mater, a place near and dear to my heart. A place that molded the foundation of the man that I am today. I felt like I had landed my dream job right out of college. Thoughts of nostalgia grew as I anticipated my return to a place where I was well-known, respected, and admired. There was a buzz around the community. I thought I had it made it. That feeling quickly faded away. Initially, I was assigned to teach three sections of physics. I just successfully finished student teaching the previous semester, and since I was going to be teaching mostly the same topics, I thought that this would be an opportunity to really hit one out of the park. A week into school, I was notified that I would be bumped up to full-time employment. Excited about the opportunity to earn more money, I immediately accepted the “promotion.” I was then assigned to co-teach a section of English Language Learner Literacy; to teach a section of re-looping biology (for students who had just failed in the previous semester); and to tutor struggling students in Algebra I, Algebra II, and Geometry. I was actually excited about the challenge. I loved the idea of having the opportunity to support and teach students that were struggling with their academics. The first few weeks were a complete shock. As I worked with my students, I began to grow an intense awareness for the vast differences between the experiences that I had at my alma mater compared to the experience my current students had, even though I was just four years removed. As a student, I was always in Honors and Advanced Placement (AP) level courses, mostly because of the influence of role models and mentors who encouraged me to succeed academically. I was expected to strive for a high GPA, study during my free time, engage in meaningful classroom discussion, respect my teachers, turn in assignments on time, ask thoughtful questions, and continually expound a love for learning. I wondered why these expectations were not the same for the students I taught. Like many of my students, I am Hispanic and a native Spanish speaker. My parents are Mexican immigrants who didn’t go to college. My mother dropped out of high school and my father joined the military after high school. Nonetheless, they always emphasized the importance of a solid education, pushing me to earn good grades and a college degree. Believing that an education is the key to a bright future, they made the investment to consistently involve themselves in my academic success. They were constantly in contact with my teachers, checking my grades, and ensuring I completed my homework assignments and studied for assessments. They were able to do this because they speak English. I thought that this was the case for every Hispanic student at my high school, and as such, I was given a loud wake up call when I walked into my teaching assignment. Most of the Hispanic students that I taught did not have this sort of parental involvement. Several of my students’ parents faced a stiff language barrier. There were minimal resources allocated towards helping to involve these parents. The school did not provide translators, did not ensure follow up with any of these families other than by mail and automated phone messages, and did not allow the English Language Learner department to host any information sessions for parents who were not fluent in English. By the same token, many of these parents worked late jobs that pulled important time from ensuring their students were being properly educated. Several of my students also had to work to provide for their family or take care of younger siblings while parents went to work. I was sheltered from this perspective of education that existed for the majority of my peers when I was a student, a reality that I was awakened to in observation as a teacher. The overwhelming message from my perception was that this situation was a mixture of apathy and ignorance. It seemed as though nothing was being done to address the glaring issues in these general-level classes. Perhaps administration and teachers were overwhelmed or were accustomed to a mediocre culture surrounding the general-level classes. Perhaps it was easier to turn a blind eye and accept defeat. Parents were mostly uninvolved, and it may have been due to extenuating home circumstances or a lack of awareness to these issues. Who knows. It appeared as though most students gave minimal effort, but maybe it was because they felt stuck. One thing that connected all of these factors was that lack of shared ownership between all parties led to a spiraling circle of indifference to the inadequate education that the majority of these students were receiving. The most significant example I have is of a “newcomer” (recent immigrant) student that I tutored in geometry. While working as a “tutor,” I supported students as an informal co-teacher in three remedial level math classes: Algebra 1, Geometry, and Algebra 2. The first day I began tutoring, I approached a student who I knew was a native Spanish speaker that could barely comprehend, let alone speak any English. When I asked him how work was going, he simply replied with the phrase (in Spanish), “What are you talking about?” It turns out that this student was so disconnected from his education that the entire first semester he spent all of his time on his district administered iPad watching YouTube videos and playing games. The student had no idea what was going in class. His teacher felt helpless trying to overcome the language barrier and was without support from student services. There was no one providing any accommodations. This student had no one to turn to for any help in his math class until I showed up. He consistently expressed the notion that any effort he put forth would be wasted and that this was the case in all of his classes. How could we blame him? The worst part is that he wasn’t alone. There were at least a dozen other students in a similar situation as him, with varying levels of English comprehension. It felt as though these students were actively ignored, left behind, and pushed to the side as all of the focus in the school was oriented towards glorifying the programs that promoted the perceived “excellence” of the school. Students from Hispanic and lower socioeconomic backgrounds were “failing” at unbelievable rates. Out of the over 180 English Language Learner students at the school, over 100 were on the D and F “watch list.” There was no accountability for ensuring the needs of these students were met. Administration encouraged opening lines of communication with parents/guardians, but refused to allow the English Language Learner program to host an information session in Spanish (with the aid of volunteer interpreters) that would show parents how to access student grades, attendance, and more, citing the fact that we already had this information available online, in the student handbook, and presented in English at the beginning of the year. Furthermore, students who wanted to succeed but didn’t know how were forced to remain in a state of acceptance of the nature of their situation. There was obvious neglect, and it was apparent that for years it had not been addressed. As I reflected, I tried to identify why there was such a significant distinction between the students who were successful in school and the students who were struggling. I sought to understand why I had no idea that this was a reality even when I was a student. I was so involved in my academics and athletics that I didn’t have the time to open my eyes to any other issues that were present in the school. Since I was only enrolled in Honors and AP classes, I was sheltered from the reality of the situation. When I started putting the pieces of the puzzle together, I made some significant realizations. The first being that this problem was systemic and related to the culture the school was indirectly promoting. Excellence was only offered to those who were tracked to be on the path to take honors and AP courses. Varying degrees of policy enforcement were present across the school with regards to misbehavior, use of personal technology devices, scheduling classes, and more. It is likely that such a wide range of behavior was tolerated because teacher accountability was almost non-existent and there was minimal leadership to address the issue. As such, this disconnect was widening the achievement gap while setting in place the elements of a ticking time bomb. The school’s mantra of “Tradition” was not responding to the needs of an increasingly diverse student population and failed to address glaring problems. The sad reality was that there was no significant progress being made. Efforts put forth by potential agents of change in the building were met with resistance from administration. Proposals to organize information sessions for Hispanic families that needed a translator were shut down. Potential solutions and ideas from frustrated teachers who joined to form an advocacy committee were ignored. Students who were sent to administration for extreme misbehaviors were sent right back to class. The resentment I was internalizing negated all of the positive aspects of teaching high need students at my alma mater. The culture of the school took a toll on me. I began investing less in being the best teacher that I could be. I began to accept complacency from my students and myself. My awareness of the situation and my inability to make a change drove me to question my value as an educator. I was burning out and I hadn’t even been teaching a full year. There were days and weeks spent trying to find the answer. It wasn’t coming, and I knew that I had to make a change or I would drive myself out of the profession that I love. That’s when I applied for a teaching position at a charter school in a privileged suburban community, actively and ashamedly knowing that I wouldn’t be making the same type of impact that I had to potential to make at my alma mater. Yet, I still accepted the job when it was offered. It was a tough, but necessary change. I know in my heart that I am equipped with a skill set and relatable experience to truly impact students from diverse backgrounds, especially those who need role models in their lives. I have learned that at this time, I am not ready to do that. With the move to a new charter school, I plan to focus on mastering my practice as a science and math teacher, without the negative pressure that I put on myself to also be a social justice advocate; without the systemic inequities that are slow to change. Hopefully, once I equip myself with the necessary skills to be able to be an agent of change to address these dire issues, I’ll return to my alma mater and do just that.